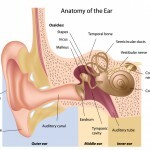 Ear tubes 101: What are they and why are they needed? Persistent runny nose. An ear infection every month. Words that don’t sound quite right. These are signs—signs that might mean your little one may need tubes. If your child battles head colds and has regular ear infections—such that her hearing and speech development may be affected—you might consider talking to your doctor about ventilation tubes for her ears. In this first of a three-part series, D. Randall Pinkston, MD, Otolaryngologist, discusses the need for ventilation tubes in a child’s ears. Ventilation tubes—also known as PE (pressure equalization) tubes—equalize the pressure behind the eardrum, where the problem lies. Children need ventilation tubes when their natural eustachian tubes don’t function properly. A normally functioning eustachian tube should provide adequate pressure equalization and drainage between the middle ear and back of the throat. But sometimes the eustachian tube doesn’t work quite right. Why Wouldn’t a Eustachian Tube Function Properly? “There’s really nothing we can do to make the eustachian tube better. It’s located at the base of the skull in an area that we really can’t operate on to change it, so we have to substitute something for its function when it’s not working right,” explains Dr. Pinkston. That something is the ventilation tube. What Are the Primary Reasons Ventilation Tubes Would Be Recommended? “The two most common reasons for needing ventilation tubes would be for recurrent ear infections and persistent fluid build-up in the middle ear space that doesn’t clear when the infection is brought under control,” says Dr. Pinkston. Physicians generally recommend placing ventilation tubes in a child’s ear if she is having six to seven recurrent ear infections in less than a year’s time. In some cases, a child may have fluid in her middle ear space that doesn’t clear up despite antibiotic and antihistamine treatment. Dr. Pinkston says this excess fluid has the potential of dropping the child’s hearing threshold as much as 35 decibels, which may affect the rate and manner in which she learns to speak. How Do You Know Whether There Is Fluid in the Middle Ear? Persistent fluid in the middle ear is determined by otoscopic examination, either by your child’s pediatrician or by an ENT doctor (ear, nose & throat; also called an otolaryngologist). In other words, your child’s doctor will use an otoscope to look inside your child’s ears to check for movement of the eardrum and its color. If there’s little or no movement and it’s not its usual yellow color, your child may have fluid build-up in the middle ear space. If your child’s doctor is uncertain whether excess fluid is present, an audiogram can confirm conductive hearing impairment (hearing loss that can be relieved once the fluid is drained). What Are the Risk Factors for Developing Persistent Ear Infections? Daycare—A child in daycare with multiple other children is more likely to develop upper respiratory head colds and resulting ear infections, research shows. Tobacco in the home—A parent or sibling using tobacco in the home is a causative factor in chronic ear disease in small children, research shows. Bottle feeding—Bottle-fed babies are missing the protective immunoglobulins found in mother’s milk that babies who are nursed receive, resulting in more frequent ear infections, research shows. If you think your child may have persistent ear infections and need ventilation tubes, please discuss your child’s health history with her physician.